Vallejo, California is a small city of 118,000 on the bay, 35 miles northeast of San Francisco. 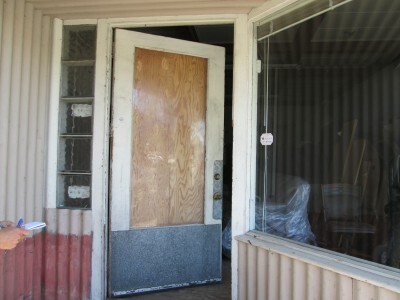 The Great Recession of 2008 caused business failures and record numbers of home foreclosures when it had not recovered from the closing of its major employer, the Mare Island Naval Shipyard in 1996. Vallejo was the first in a wave of municipal bankruptcies in the United Sates. Despite its woes, developers had committed to mixed-use, high-density housing, retail and commercial projects for the city’s declining downtown and underused waterfront until Governor Jerry Brown signed legislation eliminating California’s redevelopment agencies (RAs) in 2012. The developer commitments depended on the Vallejo RA’s use of tax increment financing (TIF) to assemble and clear sites and to create the necessary infrastructure. Municipalities used the increase in tax revenues generated by new development to repay the bonds issued to finance the municipality’s share of development costs. Losing the TIF ability has occasioned a change in partners for Vallejo in its redevelopment efforts. The Waterfront redevelopment private partner continues in negotiations with the city as successor to its RA. However, civic groups and the citizens of Vallejo have stepped up their involvement in renewal by passing Measure B in 2011, a 1 percent sales tax increase to enhance city services. The City Council has set aside a minimum of 30 percent of the Measure B sales tax revenue for Participatory Budgeting (PB), which can be used for both capital infrastructure projects and program or service projects. Civic organizations oversee the process by which community members submit, review and discuss proposals for spending. 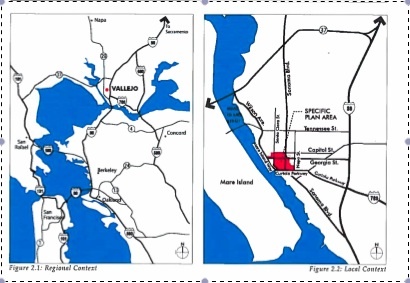 “Propel Vallejo,” funded by Measure B, is a set of long-range planning initiatives that includes a general plan update, a zoning code update, a specific plan for a major arterial, and an environmental review. Vallejo was the first to establish a citywide participatory budgeting (PB) process in the United States. Residents, businesses and property owners develop proposals that are voted on by Vallejo residents 16 years of age and older. Nearly 3,200 residents voted on the recent third round of proposals, recommending five projects. Projects that continue revitalization efforts include a downtown property enhancement program that provides businesses and property owners with matching grants for façade improvement or ADA access and the Waterfront History Arts Park that will be created on a vacant lot. Measure B is scheduled to end in 2022. The City Council is currently reviewing a staff proposal to extend it indefinitely. Vallejo’s tradition of civic group involvement is strengthened by access to PB funds. Examples include “The Art and Architecture Walk,” an interactive website with videos, background information and maps that can be accessed via QR codes and RFID chips at locations in Vallejo’s Arts and Entertainment district. A collaboration between the Vallejo Community Arts Foundation (VCAF), Vallejo Arts Alliance and the Vallejo Naval and Historical Museum, it is supported by the PB project as well as by donations and volunteer work from local businesses and artists. “Vallejo Art Windows,” putting local artists’ installations in vacant storefronts is a joint endeavor of downtown property owners, the VCAF and other community groups. Works of art are showcased in the windows with the goal of increasing foot traffic in downtown and encouraging the rental of available commercial spaces. 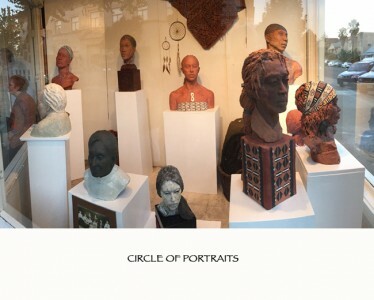 Here is sculptor Tebby George’s installation, “Circle of Portraits,” with images of the host storefront before and with her installation. Critics of TIF have said that cities should spend their own tax revenues if they want to achieve redevelopment objectives. Vallejo has shown its willingness to do so. While small projects that can be implemented using Measure B and Participatory Budgeting funds as leverage are possible, cities need to have the ability to access capital markets for construction and infrastructure financing. Without the ability to attract large-scale redevelopment, Vallejo is preserving its pedestrian friendly downtown of grid pattern streets and small blocks by engaging civic groups and targeting smaller projects. But as Tanvi Misra says in her CityLab post, when answering the question of where cities that aren’t the superstars of their region fit in, “Second-tier cities shouldn’t get hollowed out and neglected. … They become back offices, back-end, supply-chain providers, lower-cost manufacturing centers—they become part of that urban area.” Every support for the continued vitality of smaller cities that are connected economically and culturally to their regions should be provided. Author: Dr. Linda L. Day is emeritus professor of city and regional planning at California Polytechnic State University and contributing faculty of the public policy and administration program of Walden University. A full description of what Vallejo accomplished with its redevelopment agency and how the city is continuing its revitalization efforts without TIF can be found here.